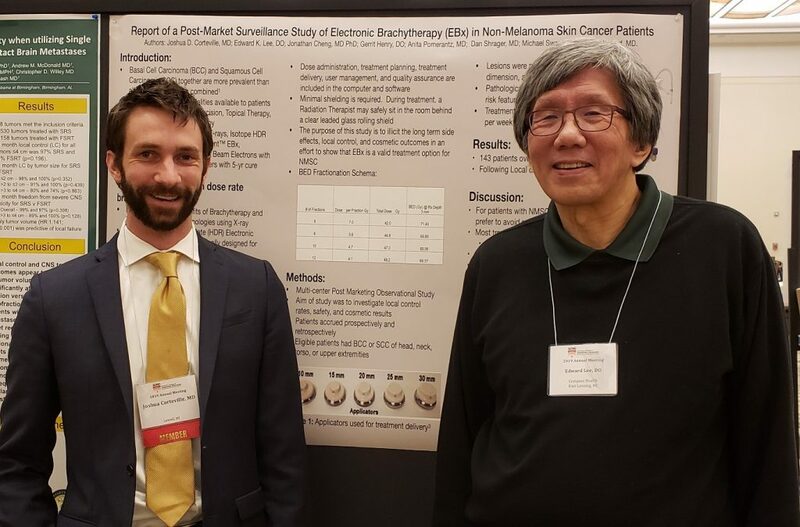 Compass radiation oncologist Dr. Edward K. Lee and radiation oncology resident Dr. Joshua D. Corteville present the results of their research at the recent meeting of the American College of Radiation Oncology. The research addressed the use of electronic brachytherapy in the treatment of non-melanoma skin cancers. Compass Healthcare is the only cancer center in the mid-Michigan area to offer electronic brachytherapy as a state of the art cancer treatment modality.